If you have a baby, you undoubtedly have dozens upon dozens of photos that you’ve taken in a relatively short amount of time. Those photos can stay on your phone or camera, they can be sent to other people in the family, and they can be posted on social media, but what about having a tangible copy of them in your own hands? There’s nothing quite like being able to see printed out copies of your most precious photos. Traditionally, photo albums and frames have done the trick to display them, but today’s world provides you with so many more options. This is the era of photo books: sleek books you have designed yourself that can be customized and sent directly to your home. You have so many ways to customize these books, too, so that you know your product is just for you and your baby. There are little details you can add to a photobook product that maybe hadn’t even occurred to you! So, without further ado, here are some ideas of creative ways to create customized photobooks that might help you get started on your next project. Just because it’s a photobook doesn’t mean it has to be photos of the baby for everyone else to enjoy! Why not create a little photobook that is meant to teach and entertain the baby too? You can now design photobooks that display photos of children on one side, plus text or other lessons on the other side of the page. For example, select photos of people (including your children) making different facial expressions and print them next to the word associated with that expression! 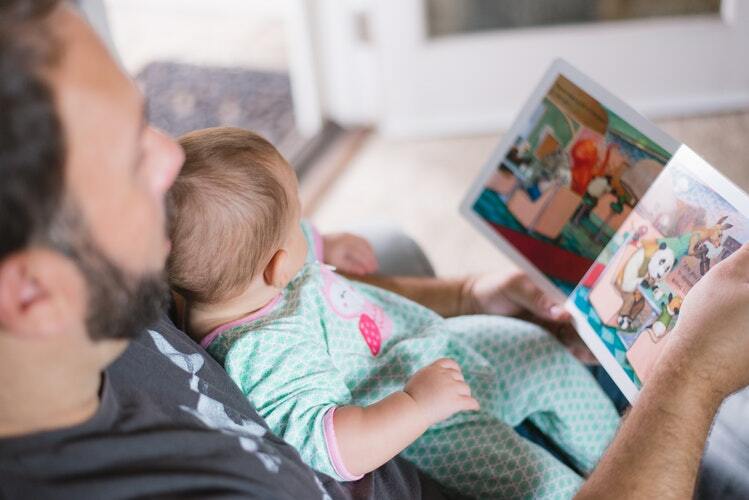 Maybe you want a soft book that baby can hold and play with, one that you’re not too worried about getting bent or poked around. In that case, a softcover book might be the perfect option for showing off your favorite photos of your baby. However, you might want to show how important family is by creating a beautiful display of your photos that can sit on the shelf. In this case, having a hardcover book means you can put your photos on the shelf next to your favorite novels, adding some elegance to how you share your memories with everyone else! Maybe you or Grandma really like to show everyone their family, but you need a succinct way to do this without scrolling through endless photos on your phone. There are ways to brag about your kids and grandkids that is perfect for carrying around: a brag book. This tiny collection of photos is big enough to see the details in each shot but folds accordion-style so that it’s compact and transportable. With one of these little books on hand at all times, you’ll be ready to show off your family with the drop of a hat. Your baby’s photobook doesn’t just have to be photos, either: try scanning in some pieces of art to add to the pages. Not only is this a creative and cute way to keep more than photo memories in one place, but it’s also a way to show kids how important their little masterpieces are. Over the years, you can watch the collection grow and reflect back on the changes they’ve gone through in growing up. If nothing else, it’s a nice personal touch to really bring a baby’s photobook to life. Some people have taken up the art of scrapbooking, adding little details to the pages of their photos and gluing endlessly as part of their hobby. You can do the same—kind of. It may be a little less labor-intensive, but it still adds a beautiful touch to your photobook: when you go to design your book, incorporate fun expression, pretty passages of text, and various other bits of clip art. This will add color, enhance memories, and help pull together the perfect photobook for your family to share! Photobooks are great ways to keep memories together in one singular place. These days, they are increasingly easier to make with affordable craft supplies. If you’re going to take the time to make something for your family to cherish for years, you might as well make it personal and specialized just for you. From soft and hardcover books to displays of art alongside the memories, photobooks are a great way to capture the past and present. Having these little treasures will also give you something tangible to pull out when guests are over. The options out there are endless, so put your energy to good use with these creative ways to customize your high-quality photobook!